Recently I sat in the car with an eleven year old fishing addict, driving him to the river for his first ever fly fishing experience. On the drive and whilst discussing his fishing pedigree I queried “so what do you know about fly fishing?” The reply was heartbreakingly simple and, as is oft the case with the young, poignantly reflective of a common misperception. “I know it’s very difficult” said Ben. So the question really is “is that true?” I mean is fly fishing that difficult? Is it beyond the scope of mere mortals, harder than golf or touch typing or flying an aeroplane? Does it require mastery more acute than computer programming, is it more tricky than chess or harder to learn than Mandarin? I don’t think so and I believe that we all owe people like Ben, and his more aged neophyte buddies, the courtesy of encouragement and enthusiasm. It bothers me that there is a level of self aggrandizement here that is unnecessary and unwarranted, counterproductive and negative in the extreme. Why on earth wouldn’t we wish to encourage people like Ben to get out there into nature and benefit from the same level of enjoyment and healthy recreation as us? Is it so important that we portray this egotistical value of difficulty as though in some way it is a badge of honour? Are we all so frail in our sense of self that we need to pretend that what we do is incredibly tricky and best left to us supposed masters of the art? What do I risk by encouraging Ben and his fellow beginners? What threat do they pose? None that I can see. It matters not if these newbies aren’t exceptional at our sport to start with and it matters less if they get really good at in time. Would any of that demean me? Would it affect your fishing in any negative manner? I have a sense that fly anglers are unique in this sense, kite boarders, golfers, judo black belts and others are wont to suggest , when discussing their chosen passion, that you should “give it a try”. So why not us? Why do we almost universally appear to pretend to hold the moral high ground, to suggest to people that what we do and love doing is beyond them? Why should it be that we imagine that whacking a golf ball is a skill, touch typing is a learned behavior but that fly casting is an “ART”? 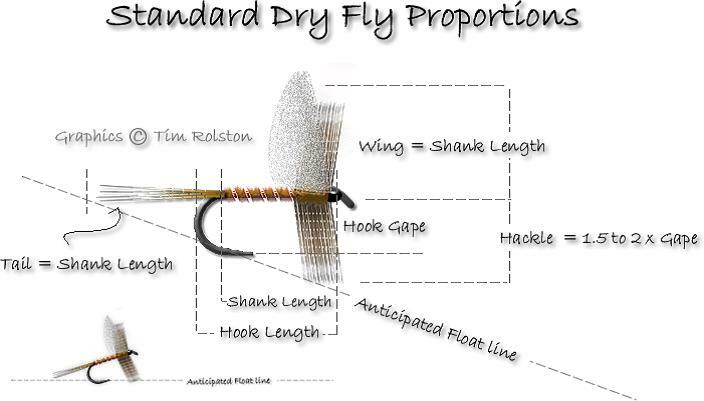 What an absolute load of tosh, fly casting is no more an art than hammering a nail into a piece of wood, it is a learned skill that can be mastered by anyone. 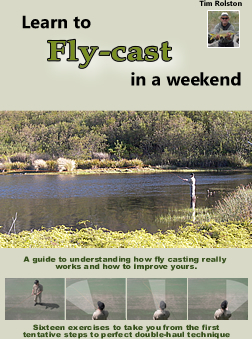 In fact there is the rub, when people suggest that fly fishing is “difficult” what they are usually referring to is that they think, or have been told, that “fly casting” is difficult. Firstly that isn’t true and secondly for those of us who have moved on, fly casting is simply the starting point. The real trials come later, the mental agility, the deceptive bent, the understanding of natural behavior and an “intellectual curiosity” which leads to total immersion in our chosen sport. Fly fishing rapidly becomes more of a mental pursuit than a physical one but one has to start somewhere. I would be the first person to tell you that flinging a woolly bugger into a small pond isn’t what I consider to be flyfishing, but hell it isn’t a bad place to start for people like Ben so why should we discourage him with negative perceptions and ideas of complexity? What would happen if we started every enquiry of the young with “Oh it’s difficult”. Dad I would like to learn to drive a car.. “oh son that’s very difficult”. I should like to learn to surf, kite board, play squash, learn computer programming, chess, or whatever “Oh son it’s very difficult”.. How much of that comes from a desire to prove that we are better, special, more important? People like young Ben have already mastered at least one language, understand stuff about computers, the ozone layer, physics and biology, have physical skills in terms of kicking footballs, doing flick-flacks, throwing cricket balls, jumping skipping ropes and more. Why on earth should I be so arrogant as to imagine that he can’t learn how to cast a fly and catch some fish in the same way that I have learned to do? I have of late been party to a number of social media “Posts” suggesting that there is a great deal of skill and difficulty in what we fly anglers enjoy. Sure you can keep learning, only a fortnight ago I learned a lot more about casting from Master Casting Instructor William van der Vorst, than I had known previously. I have fly fished for over four decades and still gain knowledge from my clients, instructors, friends and the fish themselves but I would have to admit that I have enjoyed forty years of apparent relative ignorance without harm. In an age when I strongly believe that we should be doing all in our power to encourage people to be out in nature, to be reflective in terms of its wonders and simply “Get out there and enjoy it” we seem to be hell-bent on discouragement. So perhaps, next time someone asks us, we should tell them that fly fishing is fun and it ain’t hard to learn. That it is within the mental and physical scope of anyone capable of walking and chewing gum. What would we all lose if we did that? More to the point what would we gain? People who were passionate about our rivers, our oceans, our natural world? People who would fight against dams being built, who would concern themselves with overfishing, fish ladders, privatization of waterways, pollution, abstraction and any other of the ills that tend to damage what we care about. People who would fight the good fight and in looking after the fishing perhaps be better custodians of the planet than we have been. The future of our fishing and for that matter our planet, lie in the hands of people like Ben and it is our responsibility to encourage him and his fellows. Let’s call a spade a spade, flyfishing isn’t hard, it may be tricky to master, it might actually be impossible to master in the sense of uninterrupted success, but it isn’t hard to start and it is a hell of a lot of fun learning as you go. I would like to think that if young Ben ever gets to the point of catching more fish than me, casting further than I can, tying better flies than I do I shall have the good sense and common courtesy to sit back and say “wow, well done Ben”.. I ask you, what would I lose were that to prove to be the case? 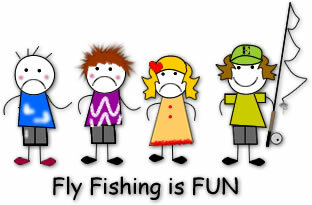 Learning to flyfish isn’t beyond anyone if they want to learn and I hope that more fly anglers will take up the challenge of encouraging beginners, young and old instead of pretending that it is all too much for the common man to master.